The Liberty 1-3/8 in. Polished Chrome Round Knob features easy installation with the included hardware for your convenience and the striking polished chrome finish can help add a fresh look to your existing cabinetry. The metal construction makes this knob very durable and reliable. 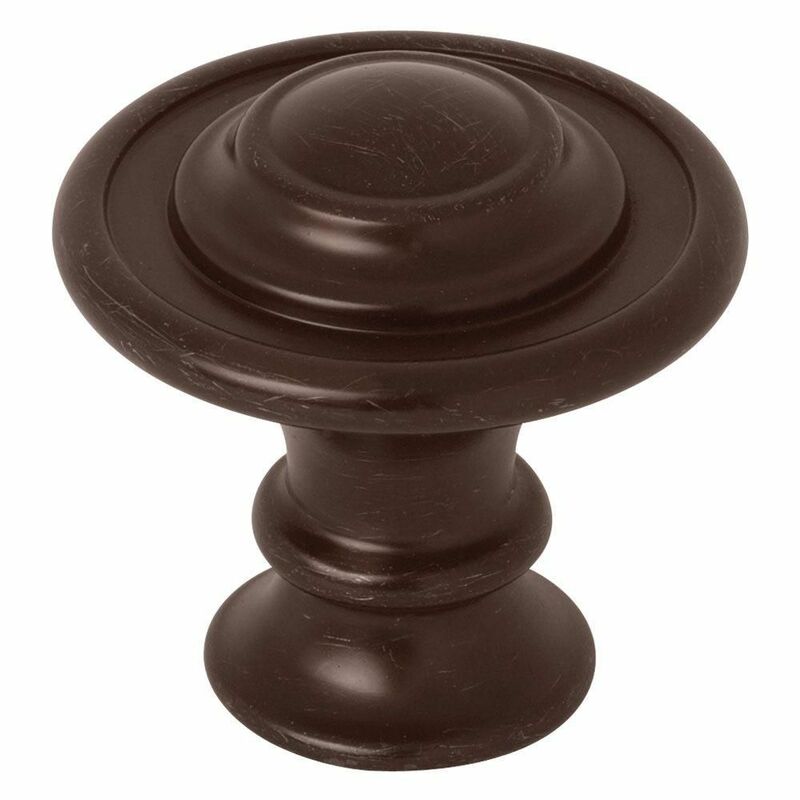 1-3/8 Kentworth Knob, 1 per pkg Add a touch of elegance to your kitchen or bathroom with the Liberty Kentworth 1-3/8 in. Venetian Bronze Round Knob. Featuring a simple design and Traditional style. This decorative knob can enhance any cabinet. 1-3/8 Kentworth Knob, 1 per pkg is rated 5.0 out of 5 by 3. Rated 5 out of 5 by Beth from Exactly what I wanted and prompt delivery! ... Exactly what I wanted and prompt delivery! Rated 5 out of 5 by srm57 from Completely satisfied with this purchase, highly recommend it. Rich oil rubbed bronze finish with nice detail looks great on midtone stained cabinetry.The knob is a substantial size and weight, not wimpy.